In 1985, Madison was convicted and sentenced to death three times for the slaying of Officer Julius Schulte, who was shot to death when he answered a call concerning a domestic dispute between Madison and his former girlfriend on April 18, 1985. The Alabama Supreme Court has turned back motions to review 4 Alabama death penalty cases, including the appeal of Westley Devone Harris, convicted of killing 6 members of a Crenshaw County family. The court on Friday also refused to hear the appeals of death row inmates Vernon Madison, Geoffrey Todd West and Ulysses Charles Sneed. The court issued no written opinions. All 4 condemned men have further appeals available. Harris was sentenced to die for the 2002 murders of 6 members of his girlfriend's family at their farm in Rutledge. 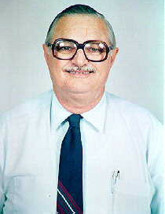 Madison was convicted in the 1985 murder of a Mobile police officer. West was sentenced to die for the killing of an Etowah County store clerk in 1997. And Sneed received a death sentence for the killing of a store clerk in Decatur in 1993. On January 7, 2009, Madison filed a habeas petition in Federal District Court. On March 21, 2011, Madison's habeas petition was DENIED in Federal District Court. Petitioner, an Alabama prisoner on death row, appealed from the district court's denial of his petition for a writ of habeas corpus, brought pursuant to 28 U.S.C. 2254. The court found that petitioner's claim that Alabama's judicial override scheme violated the Eighth Amendment and the Due Process Clause of the Fourteenth Amendment was foreclosed by precedent. The court could not say that the decisions of the state trial and appellate courts, in regards to the mitigation evidence, were contrary to, or involved an unreasonable application of, clearly established law. By presenting several relevant circumstances that in sum were sufficient to raise an inference of discrimination, petitioner met his burden of establishing a prima facie Batson v. Kentucky case. Accordingly, the court reversed the district court's order and remanded the case for the district court to complete the final two steps of the Batson proceedings. The petition for a writ of certiorari was denied. Quite confused on what this actually means. Any assistance please? Alabama can proceed at little or no cost with minimal briefs filed on rehearing. The writ was denied and unless SCOTUS rehears the case and rules in Alabama's favor the 11th Circuit Court of Appeals order stands and the case is in the federal district court to conclude the final 2 steps in the Batson hearing. Dislike of teachers? Distrust of hairstylist? Lawyers can strike jurors for almost any reason; Lawyers in criminal cases get a certain number of so-called "peremptory challenges" that they can used to exclude potential jurors without showing cause. They can keep people off of juries for almost any reason - as long as it is not based on his or her race, gender or religion. Legitimate reasons for keeping people off of jurors have ranged from mundane to goofy. --Their employment in the medical industry. --The prosecutor's personal bias against schoolteachers. --The prosecutor's belief that a potential juror's job as a hairstylist would allow her to hear gossip about the case. Prosecutors improperly excluded blacks from a jury that in 1994 convicted an African-American man of killing a police officer, attorneys argued in federal court today. U.S. District Judge Kristi DuBose expressed skepticism, however, telling lawyers that she believed prosecutors offered valid reasons for striking the jurors. She said the burden was on defendant Vernon Madison's attorneys to prove that those reasons were mere pretexts to hide a racial motivation. DuBose indicated she would rule at a later date. The case was before DuBose thanks to a ruling by the Atlanta-based11th U.S. Circuit Court of Appeals, which found there was an inference of race-based jury selection. The court sent the case back to DuBose to determine whether the conduct of Mobile County prosecutors constituted a "purposeful violation" violation of a landmark 1986 U.S. Supreme Court case called Batson vs. Kentucky. "It's not just whether they can come up with reasons," said Angela Setzer, an attorney with the Montgomery-based Equal Justice Initiative. "They have to be credible." Setzer pointed to notes of the prosecutor noting the race and gender of potential jurors. "The notes reveal a race consciousness that was present throughout jury selection," she said, adding that the appellate court already has found that the Mobile County District Attorney's Office had a history of excluding jurors on the basis of race. James Houts, attorney representing the state of Alabama, argued that that history actually bolsters his contention that race was not a factor. "That office knew the consequences of engaging in Batson violations," he said. Madison was in his mid-30s in 1985 when he fatally shot police Officer Julius Schulte, who was responding to a domestic disturbance call, according to law enforcement authorities. 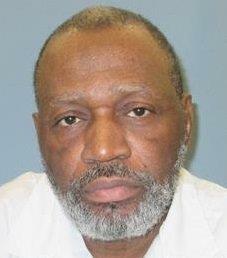 The defendant, who was on parole at the time, is one of Alabama's longest-serving death row inmates. Madison's 1994 trial was his 3rd in the case. State appellate courts twice before had overturned his convictions, once based on a similar challenge to illegally striking black jurors and another time on grounds that the judge allowed improper evidence. According to court records, the last jury to convict Madison consisted of 6 blacks and 6 whites. The alternates also were split - 1 white and 1 black. Houts argued that the 50-50 split was more heavily black than the local population at large and the panel of prospective jurors, which was 75 % white. John Cherry, the lead prosecutor at the 1994 trial, testified from notes he kept during jury selection to explain why he struck each black juror. Those reasons included the occupations of the jurors or their spouses; familiarity with the defendant or defense witnesses; and 1 juror's view that prosecutors would have to prove guilt beyond "all doubt" in a capital case. "Those are the true reasons, your honor," said Cherry, who now is the criminal division chief at the U.S. Attorney's Office in Mobile. "Race, your honor, was not a factor in this case." Cherry acknowledged under cross-examination that he was aware that the victim was white and the defendant was black. But to the extent that race was a factor in jury selection, he said, it was on the part of the defense. He noted that Madison's lawyers used every one of their discretionary strikes to remove white jurors. Cherry testified that he kept a black juror who testified that she had been a victim of a burglary and felt the death penalty was a deterrent. One of the reasons he made notes during jury selection was to prepare for the possibility that lawyers down the road might accuse him a racially motivated decisions during that process. He noted that he was a lawyer in private practice during the time that the federal appeals court determined the DA's office engaged in a systematic exclusion of black jurors. "I had raised Batson myself as a defense attorney during that period," he said. Setzer argued that Cherry made no attempt during jury selection to question black jurors to determine their supposed biases would prevent them from rendering a fair verdict. Cherry said he struck one potential juror because she worked for the Mobile County Association of Regarded Citizens and another because she was married to a supervisor at Searcy Hospital, which treated psychiatric patients. The defendant's mental health had been an issue at the previous 2 trials. Setzer noted that Cherry did not strike a white juror who had been a patient of a mental health doctor who testified for the prosecution. Cherry testified that three of the excluded black jurors had acknowledged a familiarity with Prichard restaurant owner Cozy Brown, a defense witness in the case. But Setzer argued that this was not a race-neutral reason because Prichard is overwhelmingly black and most of its residents would have been familiar with Brown, a legendary figure in the community. Setzer repeatedly pointed to the history of the Mobile County District Attorney's Offce, but DuBose expressed skepticism that it would reflect on Cherry's conduct. "Why does he carry that on his back?" she asked. Setzer said the historical context does not prove the case by itself but is, nonetheless, important.